"Currently, candidates are sounded out among colleagues within the legal professions: 'a bit like an applicant for a golf club - is he the right sort of person to admit into this club'?" The appointment of Brett Kavanaugh to the United States Supreme Court thrust the process for appointing judges to that court into the international spotlight. Aside from the hugely significant issue of how the process dealt with a credible allegation of sexual assault in the context of the #MeToo movement, the process was also characterised by highly partisan rhetoric and bitter political rancour (not least from the nominee himself) in the United States Senate, played out in front of the world’s media. Judicial independence is also in the spotlight in Poland and Hungary, where the actions of increasingly authoritarian governments are triggering sanctions from the European Union. At the same time as these judiciaries face considerable challenges, the Oireachtas continues to debate the intricacies of important legislation, the Judicial Appointments Commission Bill, which will reform processes for how judges are appointed to Irish courts. The Seanad is currently debating the bill, which passed through the Dáil in May. The bill has already generated considerable controversy and commentary. Independent TD and Minister for Transport, Tourism and Sport, Shane Ross, who made the introduction of this legislation a precondition to his support for the government, believes that it will bring about "really fundamental, radical change" in how judges are appointed. This is perhaps something of an exaggeration because the Constitution, not legislation, prescribes how judges are appointed. The Constitution provides that the President appoints judges but "only on the advice of the Government." This means that the government has effective control over who is selected for judicial office. Since 1995, the Judicial Appointments Advisory Board (JAAB) has assisted the government on who to select for judicial office. The JAAB advertises judicial posts, reviews candidates’ applications and suggests a list of candidates it deems suitable for judicial office. The government, at its discretion, may decide to pick someone from this list. The Bill proposes to replace the JAAB with a Judicial Appointments Commission, which will serve the same function. In practice then, actual power over judicial appointments will remain predominantly in the hands of the government. They will continue to perform this task behind closed doors, in stark contrast to the process witnessed last week in the United States where the Senate (part of the legislative, as distinct from executive, branch of government) hosted a public hearing and vote on Brett Kavanaugh’s nomination. From RTÉ Archives, a 1975 Seven Days' report on the criteria for the appointment of judges: "Irish men rarely if ever make good judges"
Key to understanding the proposed reforms is how the Commission will differ from the JAAB. The Chief Justice chairs the JAAB and judges and lawyers make up the majority of its members. In contrast, the proposed Commission will have a lay majority (with competencies and expertise prescribed by the Bill) and be chaired by a lay person. Judges have described the Bill, and the Commission’s proposed composition, as "seriously flawed." They argue that judges are best placed to make choices regarding who should be appointed, asking rhetorically "would one choose to be treated by a cardiac surgeon recommended by a majority of lay people, or one advised by a committee with a majority of medical doctors?" Some limited concessions on this point were made as the bill progressed through the Dáil. The presidents of the Circuit and District Courts have now been included on the Commission, bringing the total number of judges to five, alongside other legal representatives in the Attorney General, a practising barrister and a practising solicitor. Nevertheless, the government has persisted with its proposal of a lay chair (which is the case in equivalent bodies in Scotland, and in England and Wales) and a lay majority (this is more unusual, but Ontario, Canada is one example where a lay majority presides). The more important but perhaps related question is what does the bill do to ensure that the best candidates are selected for judicial office? The bill requires the Commission to publish "selection procedures" to be used in determining the best candidates. Currently, the JAAB is under no such obligation and one JAAB member has described how candidates are ‘sounded’ out among colleagues within the legal professions: "a bit like an applicant for a golf club – is he the right sort of person to admit into this club?" More precise criteria for judicial office, and more robust assessment of those criteria, are no doubt desirable. That being said, the bill is not overly prescriptive: it leaves the Commission largely to its own devices in determining the mode of selection of candidates for recommendation. Therefore, the expertise, vision and resources available to the Commission in devising selection procedures will determine its success or otherwise, and the public’s confidence in its functioning. Given that judicial selections are made at confidential Cabinet meetings, improving transparency in the process is an important consideration. The bill currently says that the Commission will rank three candidates in order of preference and give these names to the government. If the government decides not to go with one of the Commission’s recommendations then it must give a public, reasoned written explanation of its decision. Despite this limited increase in public accountability the constitutional prerogative of the government to select candidates behind closed doors will remain. The bill is still being debated and its provisions may change before the end of the legislative process. Another key question is whether these reforms are future-proof: does this Bill do enough to protect judicial independence in Ireland into the future? Shane Ross says "reforms must break the stranglehold of politicians and the legal professions over the process of employing judges." Concerns of cronyism in judicial appointments aside, there is no evidence that Irish judges’ decisions are actually compromised by the political colour of those who appointed them. A recent study of over 5,000 decisions of the Irish Supreme Courts found no evidence of political-partisanship in its decision-making. Similarly, Ireland scores highly in European scorecards for judicial independence. 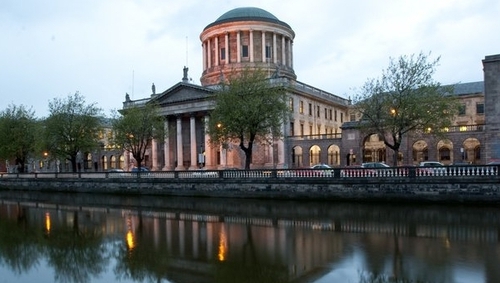 Does this Bill do enough to protect judicial independence in Ireland into the future? Despite this good news, concern about over-politicisation of the judicial function in the future is not misguided. The reforms proposed by the bill, while generally positive, are ultimately limited in scope by the Constitution. Ensuring that the best candidates are appointed depends largely on the wherewithal and ingenuity of the Commission itself, together with the goodwill of current and future governments in following the Commission’s recommendations. The bill does not guarantee the latter. If political winds in Ireland were to shift towards more authoritarian rule, this legislation would do little to stop an assertive government appointing judges that would do their bidding. Constitutional reform may be the only option to stem that tide.